Research shows that spicy foods may offer some incredible health benefits. According to a recent study published by Molecule, capsaicin inhibits multiple bladder cancer cell phenotypes by inhibiting tumor-associated NADH oxidase (tnox) and sirtuin1 (sirt1). When you have the option, do you always choose mild over spicy foods? When your waiter asks, “how hot would you like that?” do you order one star out of five? If so, it may be time to dial up your spice level. These mouth-burning foods are worth getting used to. Research shows that spicy foods may offer some incredible health benefits. They may help you lose weight, boost your heart health, and protect against cancer. The compound found in hot chili peppers responsible for burning your mouth (and even sometimes causing pain) is called capsaicin. The spicier the pepper, the higher the capsaicin content. But capsaicin doesn’t just cause pain when you take a bite of a hot pepper; it also has some amazing health benefits. It is anti-inflammatory, has antioxidant qualities, helps inhibit cancer cell growth, improves blood sugar control, and more. The journal BMJ published a study in August 2015 that looked at data from almost 490,000 men and women aged 30 to 79 years old. They found that the more spicy food people ate, the lower their risk for death from any cause. Specifically, they found that people who ate spicy foods six or seven days a week had a 14 percent reduction in total mortality risk compared to those who ate spicy food less than once per week. The study also showed that higher spicy food intake was specifically associated with lower risk of death from cancer, ischemic heart diseases, and respiratory diseases. The authors of the study hypothesize that spicy food might be associated with longevity because of the many ways in which spicy food benefits health. If you go for mild rather than medium or hot when choosing a salsa jar, or if you’ve never ordered more than one star at a Thai restaurant, you may want to challenge your taste buds. The good news is, many people find that they can increase their tolerance for spicier foods; the more you eat spicy things, the spicier you can handle. So try and challenge yourself by adding a bit more spice to your life. 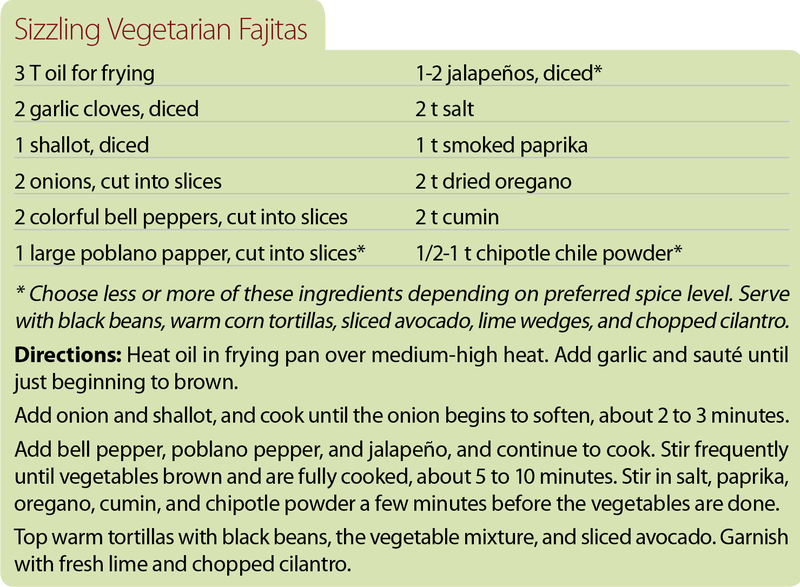 Add a little more jalapeno to your guacamole, order one more star when you go out to eat, or sprinkle a little hot sauce onto your next homemade stir fry. You’ll probably come to enjoy a little more heat in your dishes, and your health might benefit at the same time. If you eat something too spicy for your taste, a spoonful of yogurt is a quick way to cool your tongue. Dried pepper, chili powders, prepared sauces, and other forms of hot peppers are all good options to boost your spicy food intake. But if you want to get the most out of your spice, opt for fresh peppers, which are highest in healthy nutrients like capsaicin; vitamins C, A, K, and B6; and potassium. 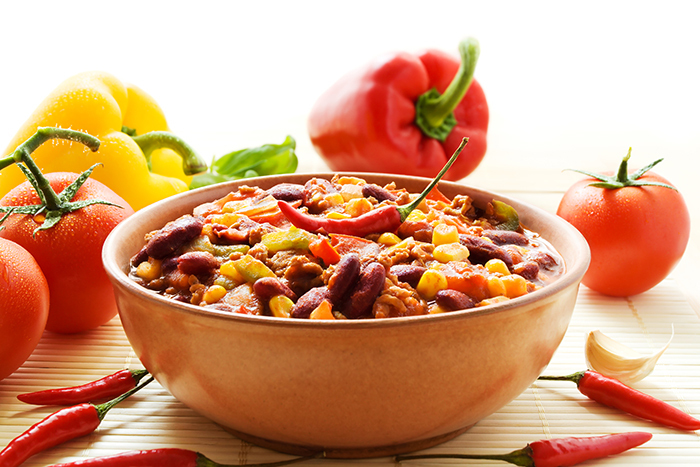 If you have certain conditions, like irritable bowel syndrome or heartburn, spicy foods may irritate your condition. So be aware and don’t eat a lot of these foods if they make your symptoms worse. 1. Open Heart. 2015 Jun 17;2(1):e000262. 2. BMJ. 2015 Aug 4;351:h3942. 4. Clin Nutr. 2015 Mar 2. pii: S0261-5614(15)00069-2. 5. Cell Metab. 2010 Aug 4;12(2):130-41. 6. PLoS One. 2015 Aug 18;10(8):e0135892. 7. Prog Drug Res. 2014;68:171-9. 8. Cancer Res. 2006 Mar 15;66(6):3222-9. 9. World J Gastroenterol. 2013 Oct 14;19(38):6465-71.
add, adipose tissue, anti inflammatory, antioxidant, appetite, blood pressure, blood sugar, blood sugar control, bowel syndrome, cancer, cancer cell, cancer cells, cardiovascular, cardiovascular system, cholesterol, control blood sugar, diabetes, diabetes management, diet, digestion, digestive, digestive tract, fight cancer, food, health, heart disease, heart diseases, heart health, heartburn, increase energy, irritable bowel, irritable bowel syndrome, Lose Weight, lower cholesterol, metabolic syndrome, mortality, nutrients, pain, potassium, reduce blood pressure, respiratory diseases, sugar, to lower cholesterol, ulcers, vitamins, yogurt.